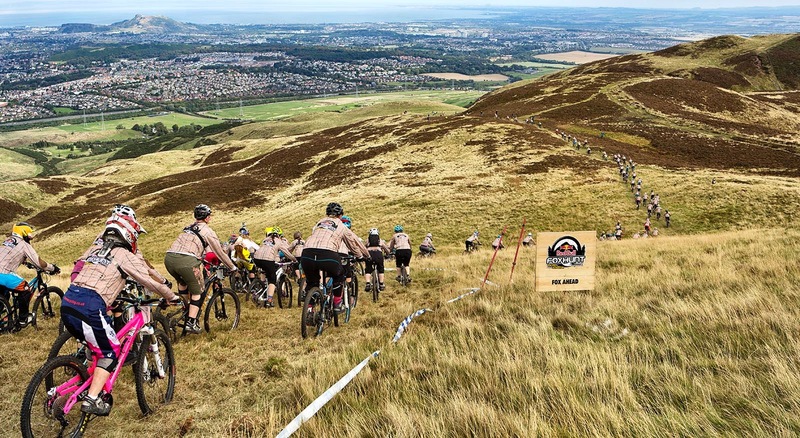 This weekend the outskirts of Edinburgh bore witness to an unprecedented event in the sport of Downhill Mountain-biking. 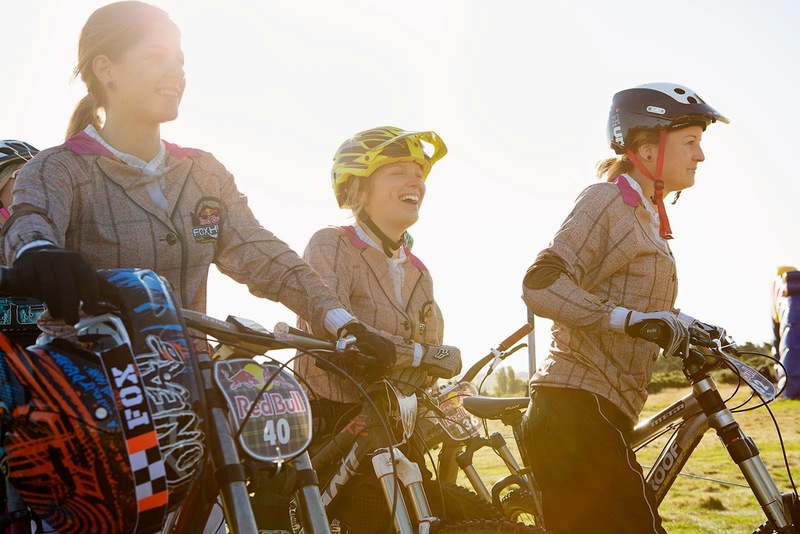 A total of 117 female riders (The Hunters) were chased down Allermuir hill by 2013 World Champion Rachel Atherton (The Fox) in the topsy-turvy concept from Red Bull. For many of the riders this was their first-ever race, and the pervading sense of fun meant that nerves were pretty good. All the experienced riders were involved in coaching and encouraging the first-timers. There were yoga lessons to help riders stretch and relax, and a lot of good-natured banter, practise and seeding sessions felt more like a festival than a hard-core competition! There was limited vehicle access to the summit so riders pushed up from about half way – another great bonding experience! But when it came to the race there was some serious riding to be done! The 3km course was challenging rather than intimidating, with plenty of room for easier line choices. Saturday’s seeding earned riders a choice of place on the starting grid from where they poured down a steep section of hillside through heather and sedges, down across a golf course then there was a quick pedal into the woods, which had plenty of slalom turns through the trees and some tricky little off-camber sections. A drop down to another sprint and a flying jump into the finish had the adrenaline well and truly pumping. Rachel was on site all weekend, sharing tips and stories and encouraging the nervous, but come the race she showed no mercy as she closed on the fleeing pack from her 10 second delayed start. Rachel joked: “I was hunting really, there was a red mist and I was after them!” She passed exactly 100 girls to finish in 17th place. 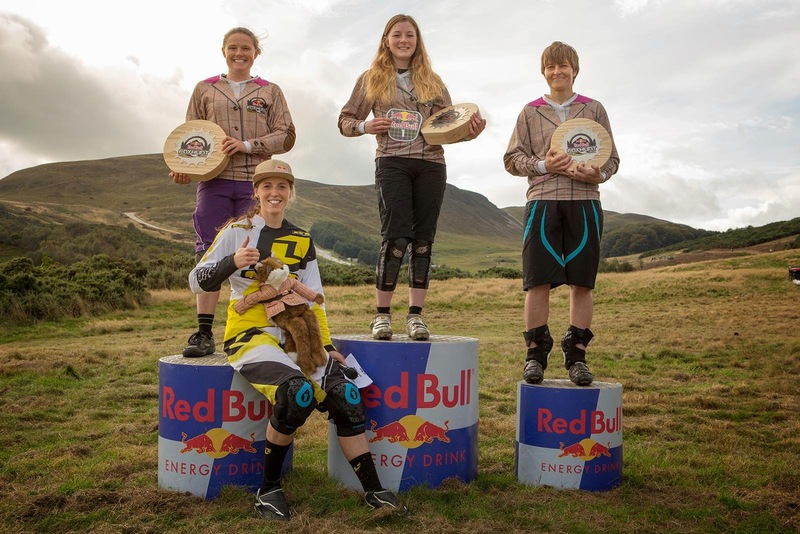 However, the top step was owned by 17 year old Elena Melton, an Enduro rider from Scotland who finished 8 seconds clear of the field. Gee Atherton is 2014 World Champion!